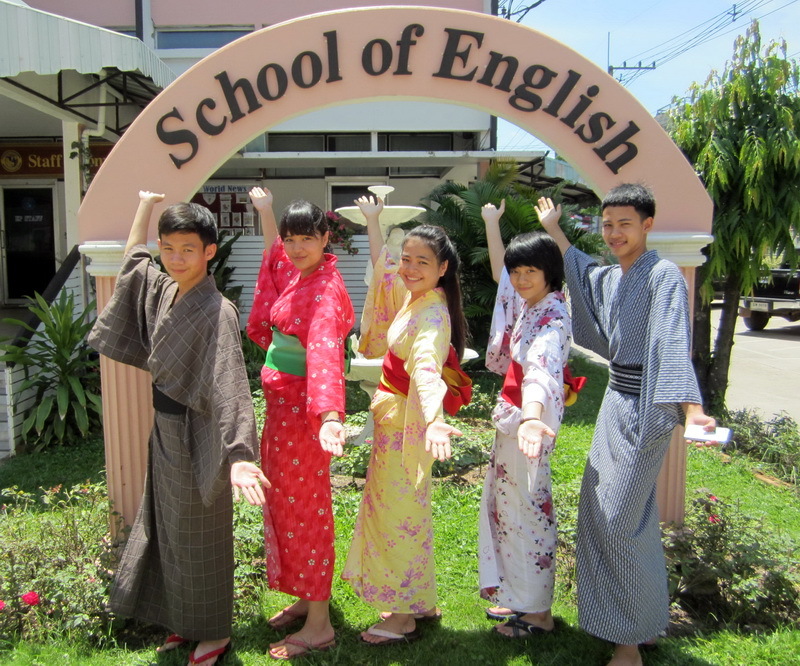 Twice a week, I teach a Japanese language class and a Japanese culture class to these students at Strisuksa School in Roi Et, the next town over. Last term I decided we should have a “kimono day” on the last day, so Nam came out to teach them how it’s done (she has a kimono cert from our time in Sumoto). Such happy faces on your students! You must be a terrific teacher because it shows! Props to Nam for sharing her hard-earned kimono lessons! Previous PostPrevious J-Pop Culture Validation of the Coolest Car Ever?